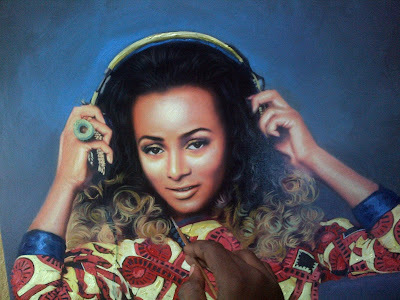 Lovely Realistic portrait painting art on canvas of DJ Cuppy femi Otedola daughter done on Canvas by Artist Ayeola Ayodeji Abiodun. 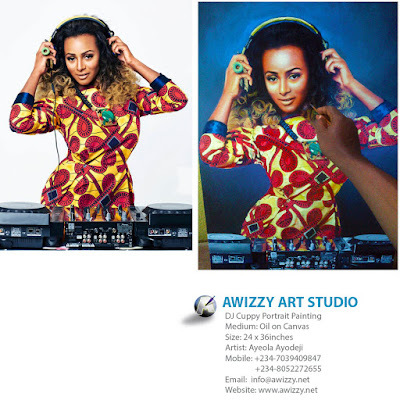 Florence Ifeoluwa Otedola is Popularly Known as DJ Cuppy because of her Scratch Mix works on Party Dj Skills and Daughter of of Nigerian billionaire Femi Otedola. Born on November 11th 1992 . 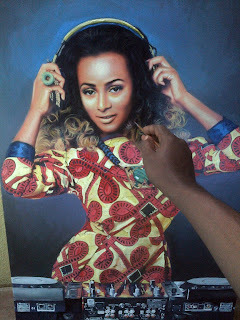 DJ Cuppy lived in Ilupeju of Lagos state Nigeria for six (6) years before moving to Ikeja Lagos State Capital. She then moved to London for her GCSE's and A-Levels. Cuppy graduated from King's College London University in July 2014 with a degree in Business and Economics. She is currently enrolled at New York University to pursue a Master’s Degree in Music Business. 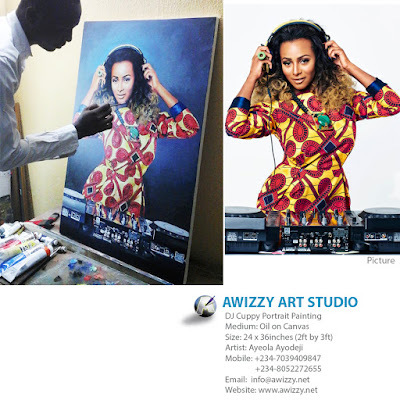 DJ Cuppy began her Work as a DJ at 16 in London, playing in clubs. In 2014, she was the resident DJ at the MTV Africa Music Awards in Durban. She then played at the Tatler and Christie’s Art Ball in London and the Financial Times Luxury Summit in Mexico City.